Humane Society or local shelters are abandoned for either biting or improper house training,” said Jamie Flanders of Calling All Dogs. So how do you best train your dog? The easy thing to do is to yell at your dog every time it poops or pees in the wrong spot and hope that eventually it figures it out. 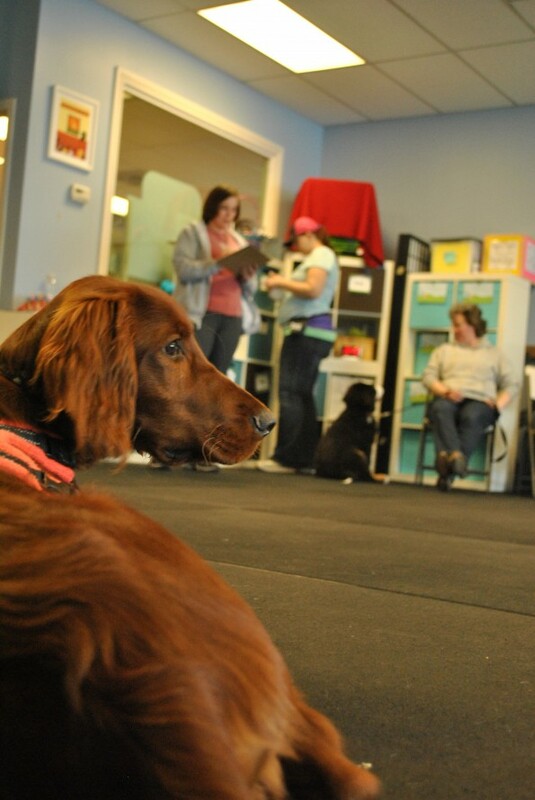 But according to Jamie, who is a positive reinforcement trainer at Calling All Dogs, a much better method is “positive training,” a philosophy centered around positive reinforcement for good behavior rather than punishment for misbehavior. It’s the first day of puppy training school and our little Irish Setter Joey is rambunctious, pees and poops everywhere, and attempts to destroy anything he sees. The 15-pound, furry-fury needs some serious channeling of his excessive energy. We know crate training is the answer, but don’t want to rely on it as the only behavior modification tool, so we sign him up for puppy training. On the first day of school we are told to have a party every time Joey does his business outside. From the crate he should always go directly outside and, after he does his business, we reward him with treats and praise. One blissfully short week later, Joey never wanted to pee inside again. While you can train children to get good grades by offering money, the Humane Society insists dogs care only about praise and food. Because these rewards make them more likely to repeat a behavior, positive reinforcement is one of the most powerful tools for shaping or changing a dog’s behavior. 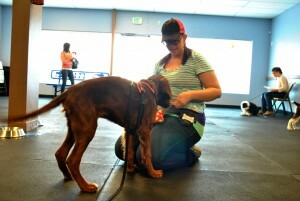 Check out their website at ­­­­callingalldogsutah.com for a training class to fit your pet’s – and your family’s – needs.